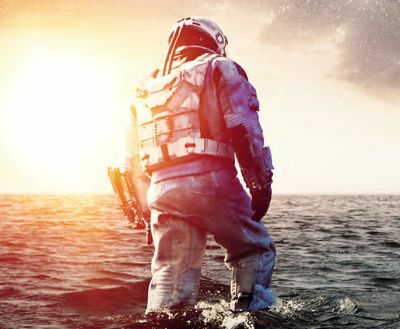 AMC Theatres and Paramount Pictures have announced a rather peculiar deal allowing fans of Christopher Nolan’s Interstellar to see the film at the theater as many times as they want for one price. AMC Stubs members can purchase their Interstellar Unlimited Tickets at participating AMC box offices at a cost ranging from $19.99 to $34.99 depending on location. AMC Stubs members who have already purchased a ticket to the movie can upgrade for $14.99. After purchase, a commemorative Interstellar pass will be issued, which can be used at any AMC location playing the film. Though the ticket itself is unlimited, quantities are not, and fans are encouraged to get their Unlimited Ticket while supplies last. Starring Matthew McConaughey, Anne Hathaway, Jessica Chastain, Bill Irwin, Ellen Burstyn, John Lithgow and Michael Caine, Interstellar was directed by Christopher Nolan from a script he co-wrote with his brother Jonathan. The film has grossed over $321 million worldwide.